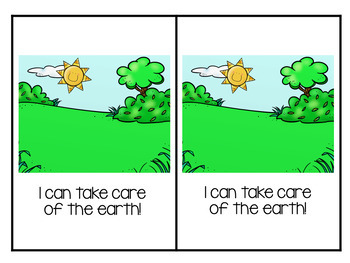 Spring is here, and there are so many things we can do to take care of our earth! These books are perfect for beginning/young readers, special education students, and students needing extra assistance when reading. 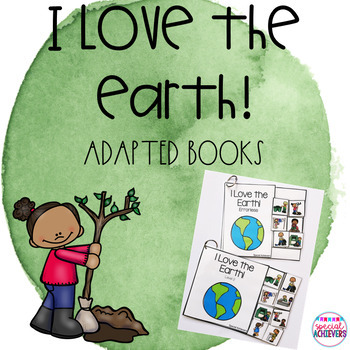 This product is a great addition to a classroom library during Spring, Earth Day, and environmental themed activities/centers. 3 different books are included! Level 1- Students are responsible for reading the text or listening to the text and becoming familiar with the vocabulary associated with the books. There are not interactive pieces included with this level. Level 2- Students are responsible for reading the text or listening to the text and finding the matching picture for each page using the interactive pieces. 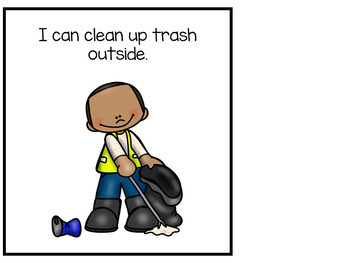 Errorless- Students will learn to interact with an adapted book, while putting pictures related to helping the earth on each page. 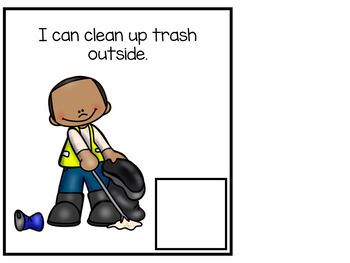 This errorless book can help build confidence while exposing students to the same vocabulary as the other two books.